Hey! This Chinese New Year (CNY) we are going to have our reunion in the States, we are leaving this Friday. Looks like every CNY my family & I will be visiting different relatives’ in different country. Last year was Australia and the year before was Hong Kong. Hopefully next year will be in Malaysia. I prefer to celebrate CNY in Malaysia because traveling during festive season is not so pleasant. The flight, accommodation and food will definitely cost more and most of the places are crowded. 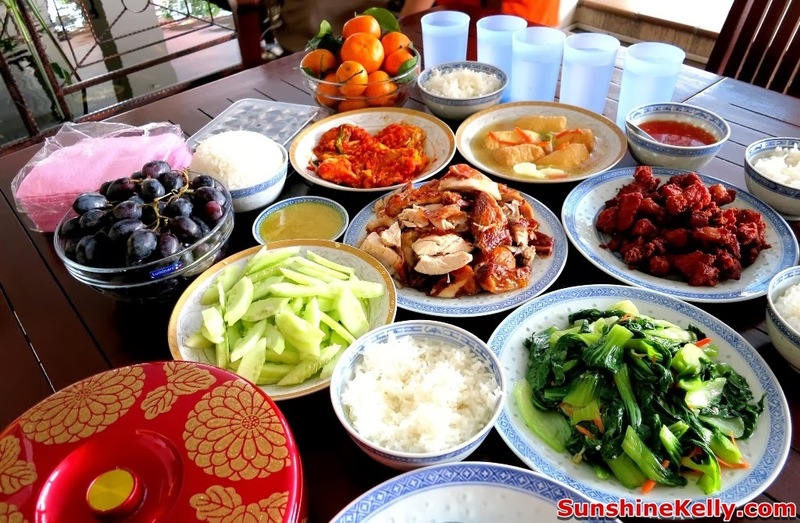 Since we are leaving this Friday, last weekend I invited some of our close friends over to my place for a simple Chinese New Year Reunion lunch. These are the dishes that I have prepared; roast spring chicken, chilli egg, bean curd with vegetables and egg, deep fried nam yue pork, stir fried baby mustard and salad. 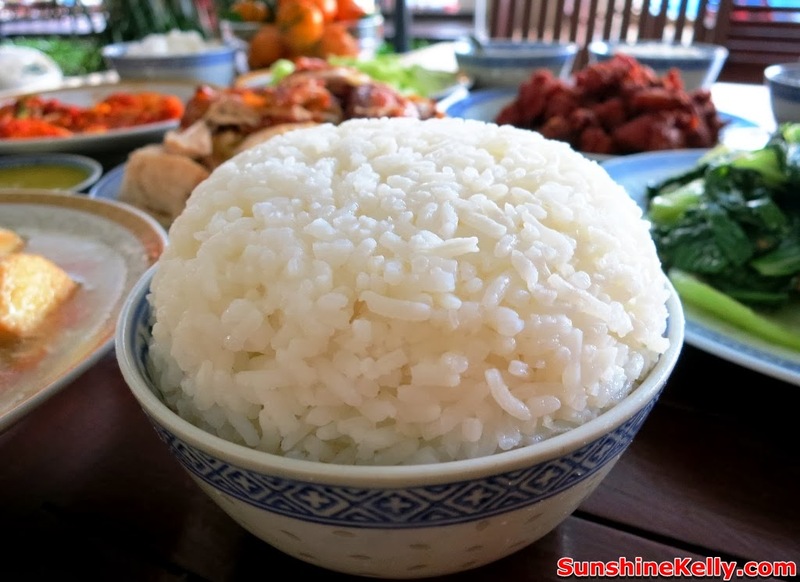 Traditionally, for CNY Reunion dinner or lunch, rice is a must. Well, at home my mom usually cooks Jasmine sunwhite rice for the family; mom’s cooking is the best. Now that I have moved to KL, at home I also followed my mom using the same type of rice. 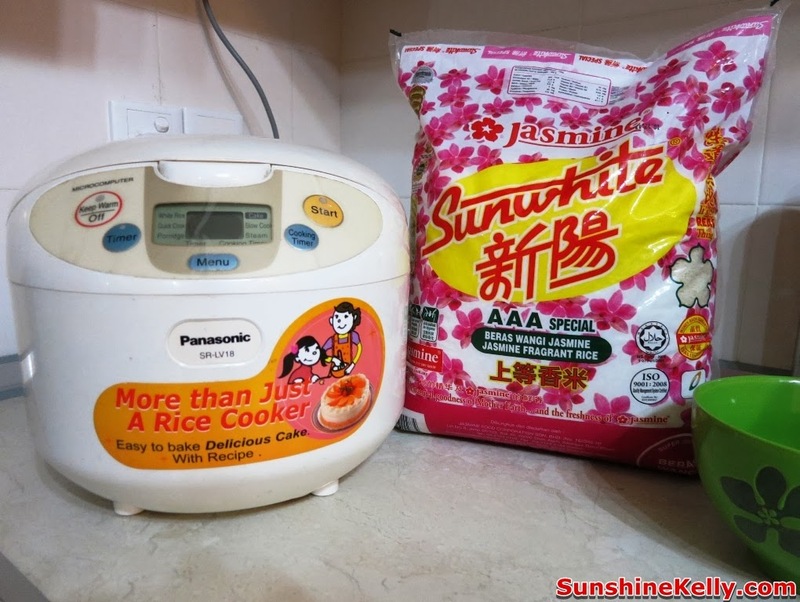 I am sure you have read my previous blog about my Chinese New Year Preparation & Checklist, one of the things we must do before CNY is to fill the rice bucket to the brim this is to signify a bountiful year ahead. To Asian, a bowl of rice means a lot to a person because it symbolize many important aspects in us. For me a bowl of rice is life. Rice is more than just food, rice is central to Asian way of life; our culture, spirituality, traditions and norms especially for the grassroots. For Chinese, life without rice is simply unthinkable. In many occasions and celebrations eating rice or a meal together with family and friends strengthens the relationship. That is why for us, the Reunion Dinner with family is very important, it’s the bonding. 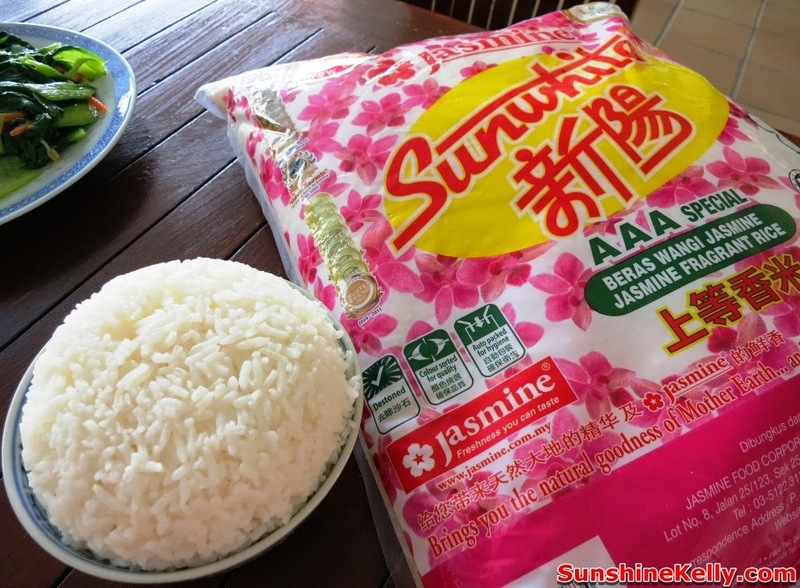 Jasmine sunwhite rice has the aroma of pandan, soft and fluffy, best to eat it with dishes when its still warm. 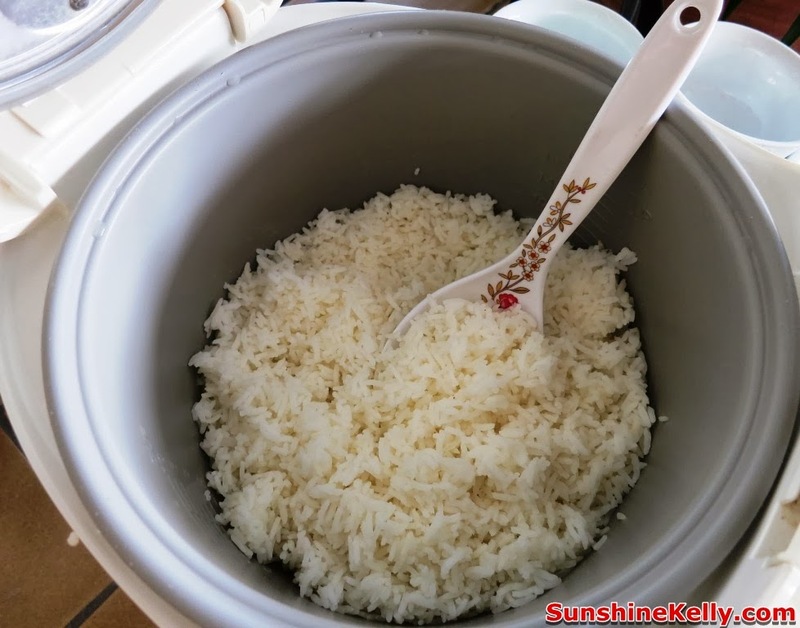 I want to add more rice because it is tasty and appetizing. My family members and friends like it too. 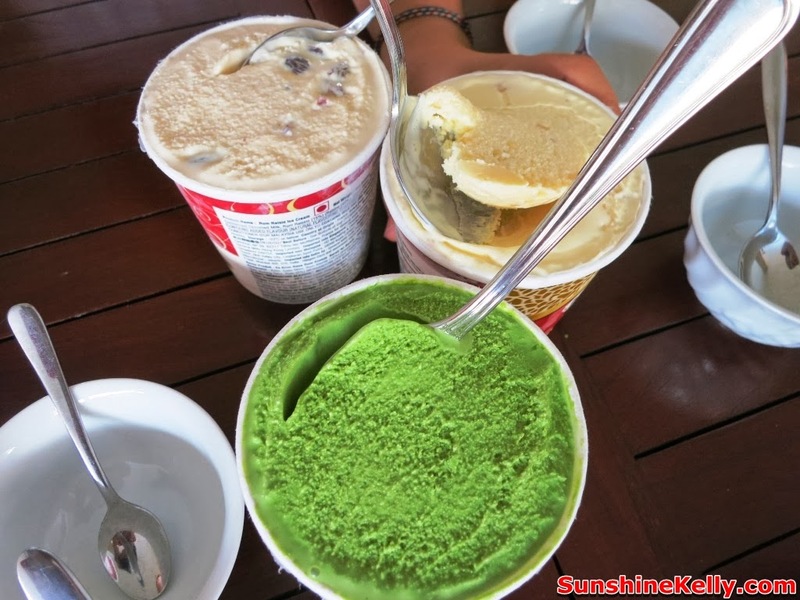 Sometimes is good to invite friends over for makan-makan or gathering. We all had a great time and the weather was good that day.